Just1 has brought together all their design, safety and usability expertise to create the sleek J12 model. 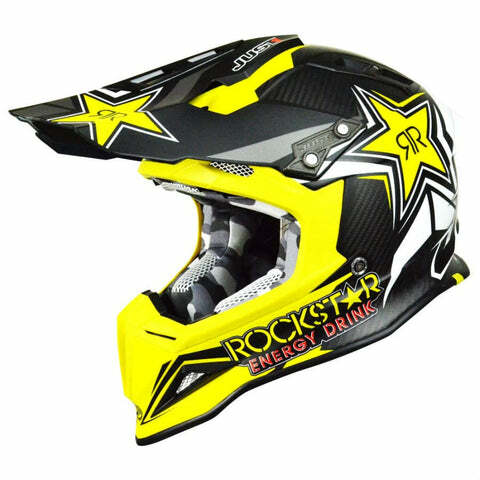 As worn by Team Rockstar Husqvarna and Honda rider Tim Gajser the J12 is a motocross helmet for riders who like a lightweight and streamlined lid that suits your high performance style. 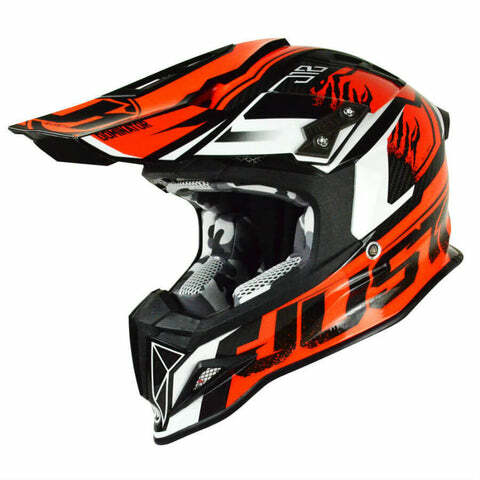 Just1 has brought together all their design, safety and usability expertise to create the sleek J12 model. 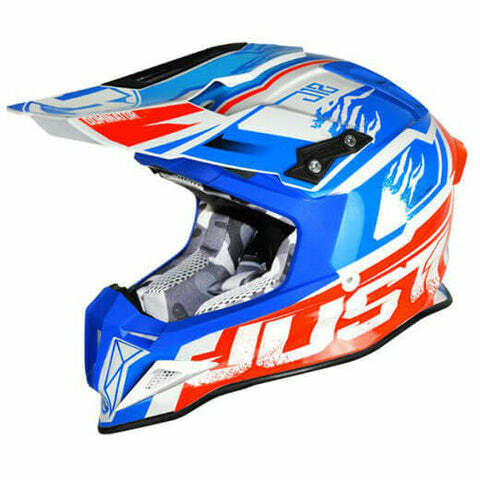 As worn by Team Rockstar Husqvarna and Honda rider Tim Gajser the J12 is a motocross helmet for riders who like a lightweight and streamlined lid that suits your high performance style. 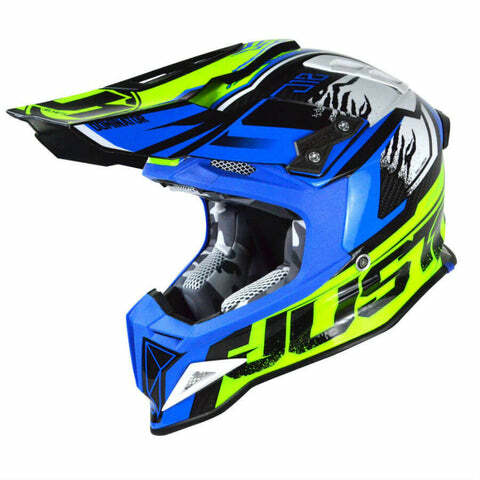 A full carbon fibre shell makes for a light and rigid helmet that comes in 2 shell sizes to make the internal fit as comfortable as possible, while a removable and washable liner keeps it fresh for every practice session or moto race. 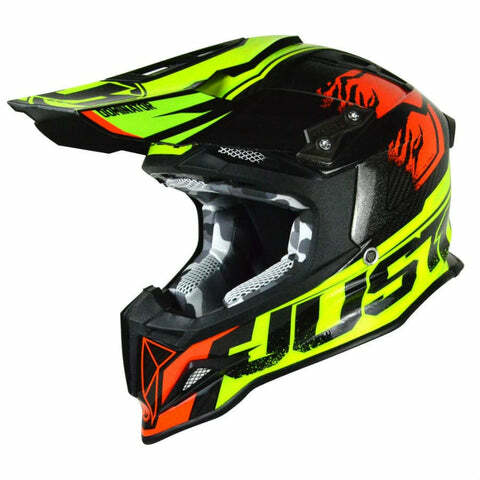 Emergency removable cheek pads can be safely detached in the event of a crash to allow for the J12 to slide off your head without causing any further damage.